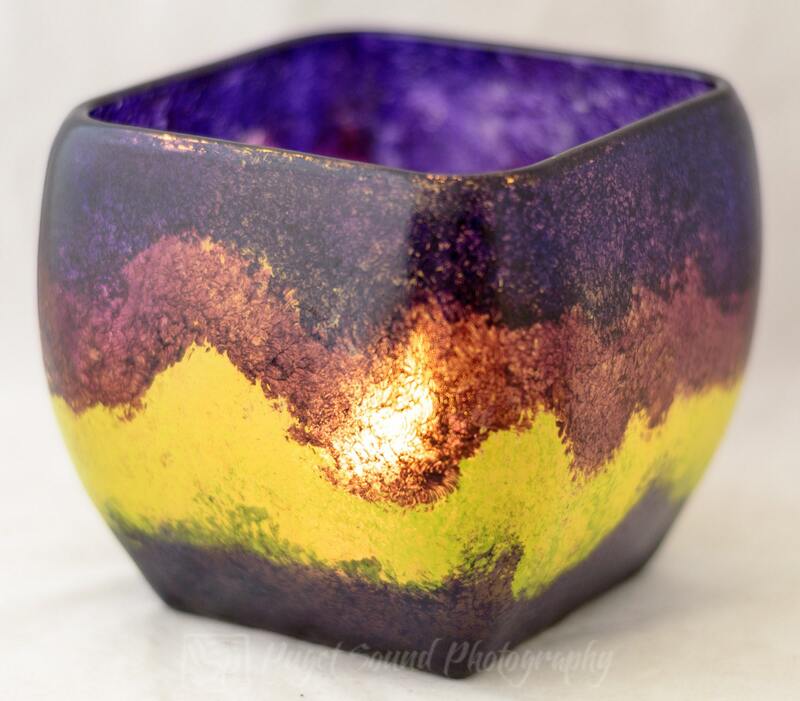 This candle holder is approx. 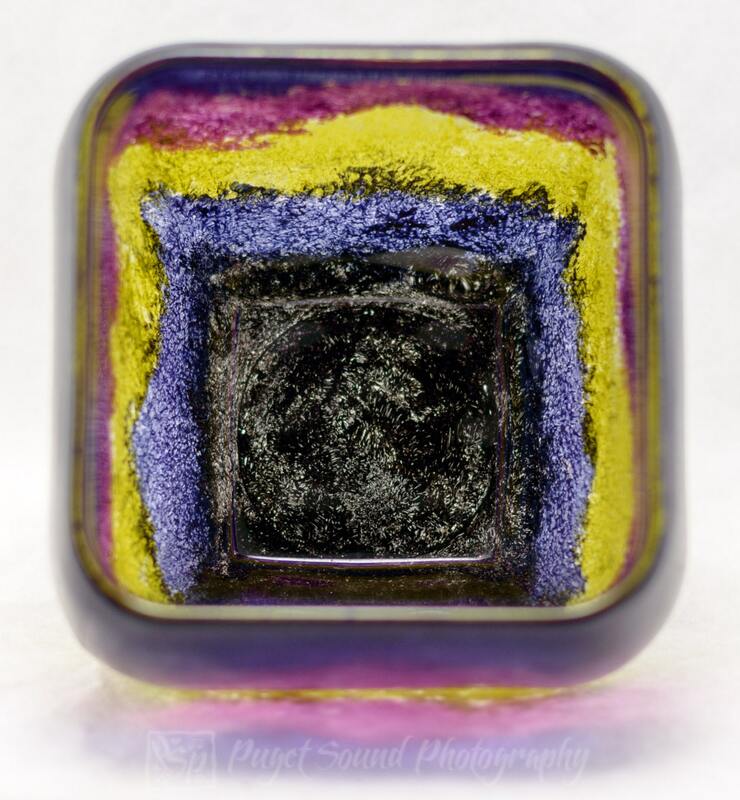 5"H x 5"W x 5"D, very thick heavy glass & holds up to approx. 20 oz. Northern Lights Design. 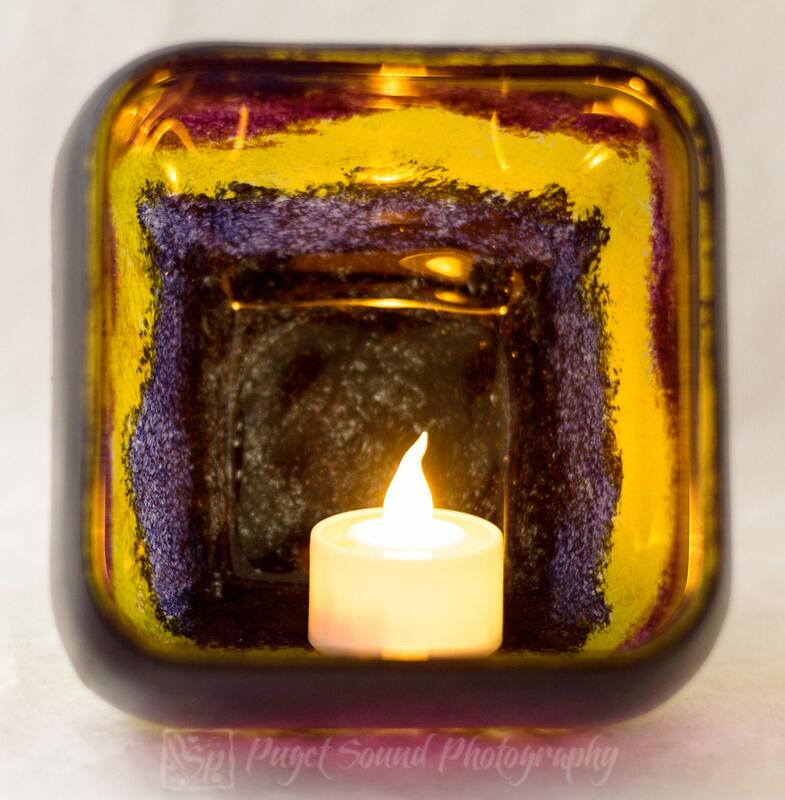 This candle holder has nice soft rounded edges and V-Shaped at the top. The design is created with 5 distinct colors, Black, Dark Blue, Magenta, Yellow, and Dark Purple. 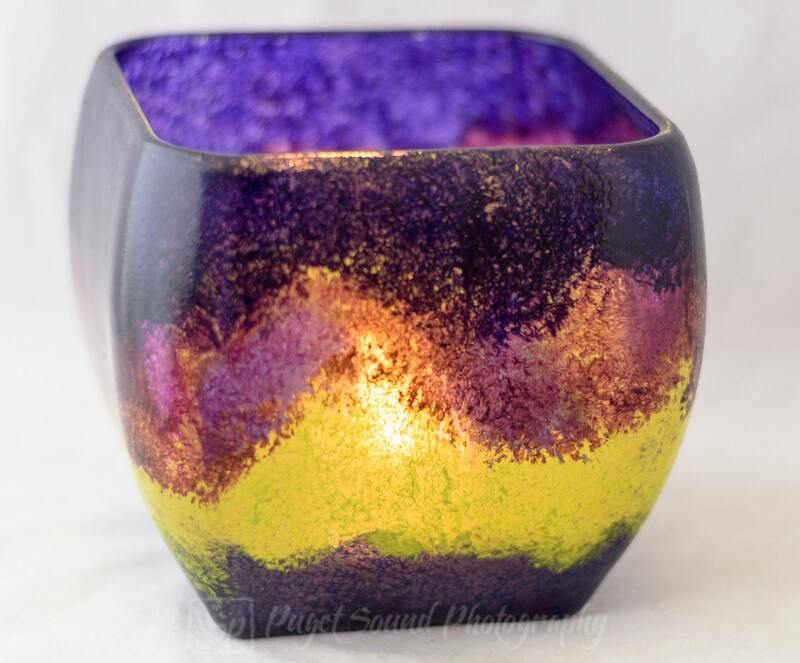 When lit with a wax or LED candles the sleeve lights up and produces a warm soothing glow. 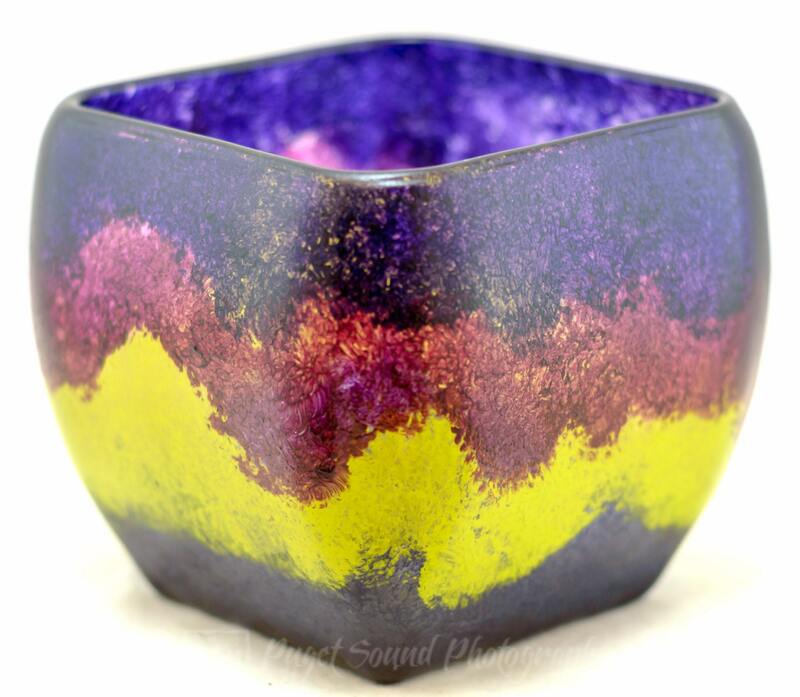 This candle holder is a piece of art and can be used on a regular basis to enjoy as living art in motion.